ANY Yankees/NY fan (who isnt a Pats fan) should be rooting big time for the Giants in this game. I don't like the Giants or the Patriots, but I guess I'll be going for New York here. At least I get to watch this game live. I've never watched a Super Bowl live. It's always on a Monday over here of course... a freaking SCHOOL DAY. Oops! I pooped on your things! IF the Giants beat the Patriots to F up thier 19-0 season. Would that made up for the 2004 ALCS for you being New York sport fans? Dieting isn't a piece of cake. Nobody ever says "it's just a game" when their team is winning. Not an easy thing, but you're correct. How much do you hate Boston again? As a Jet fan, I couldn't have asked for a worse SB. I'm not looking forward to the next 2 weeks. That being said, I will be rooting for the Giants. I felt the same way three years ago. It was really upsetting to me that one of those teams had to win. This is gonna be so sweet. I hate all things Boston. I'm a Jets fan...so its natural I'd be rooting against the Pats. Unlike some Jets fans, I also have no problem with the Giants. Ive been rooting for them this entire playoff run. It will be so sweet for a NY team to end the Pats streak and give NY a win in the Boston rivalry....we havent had one in awhile now. Thanks to SI for the Favre cover. Let's hope for a Brady cover this week. I was confident against the Cowboys, less so against the Packers..and even less so vs the Patriots! But Any Given Sunday, right? Go Giants! I'm excited to see how it turns out too, but I need the bye week. These games have been way too tense. Really? Why? If I was an Giants fan (or fan of all the New York teams) and living in New York, this would be just as good to me. I mean, sure, no ones ever comeback from 3-0 down, but no ones ever beat a team in the Super Bowl to stop them from going 19-0 too. I'm sure Boston fans would feel just as bad as we did after 2004 if they lose this Super Bowl in 2 weeks. As a Boston fan NOTHING that happens in two weeks with the Pats would come close to being as bad as Boone in 2003. Not even close. Bronx, NY- Beloved home of my yankees! Just got back from the bar! Place went NUTS!!!!!!! GO BIG BLUE!! congrats to the underdog Giants! Just 50,000 fans of the New York Yankees. Really? Why? If I was an Giants fan (or fan of all the New York teams) and living in New York, this would be just as good to me. I mean, sure, no ones ever comeback from 3-0 down, but no ones ever beat a team in the Super Bowl to stop them from going 19-0 too. I'm sure Boston fans would feel just as bad as we did after 2004 if then lose this Super Bowl in 2 weeks. We lost four consecutive games; two of which we were leading in the late innings; to our biggest rivals; considered the biggest rivalry in sports; and for the first time to them in the playoffs. Also consider that there is little, if any, rivalry between the Giants and Patriots in and of itself. Any football rivalry that Patriots fans with New York is with the Jets. Yes, it would be one of the greatest things I could ask for as a Giants fan to beat an 18-0 team in the Super Bowl, but it does not make up for 2004. Also, lets re-focus on the "reason for the season": winning the Super Bowl! Not only beating New England. paging scott norwood...we should invite him to the game. Phillipi Sparks' daughter will be signing the national anthem at the Super Bowl. Definitely a good sign for the Giants. Now that the high has come down I shall say this. If the Giants play the Patriots 10 times the Patriots would likely win 9 of those games. Its up to the G-men to make 2 weeks from now the outlier, they wont get any more chances. 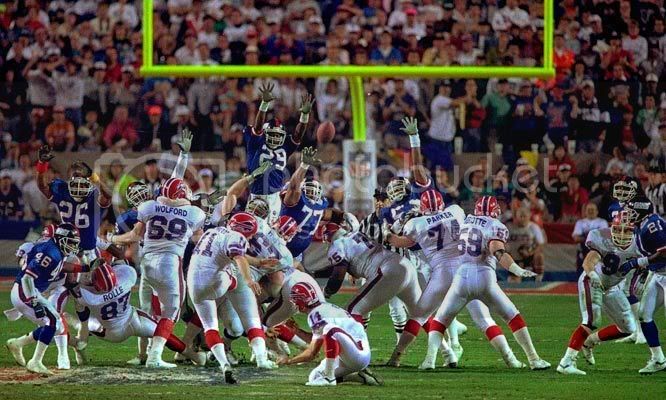 What if the Giants were 4 TD's down at half time and they won the game with a last second field goal from like 50 yards out? Don't forget... we're talking about messing up New Englands' 19-0 season here. It would make me email ESPN making fun of them for those crap holiday sports cards they put up on page 2 during the holidays. It wouldnt be the same to me only because im a baseball fan first NFL fan second.